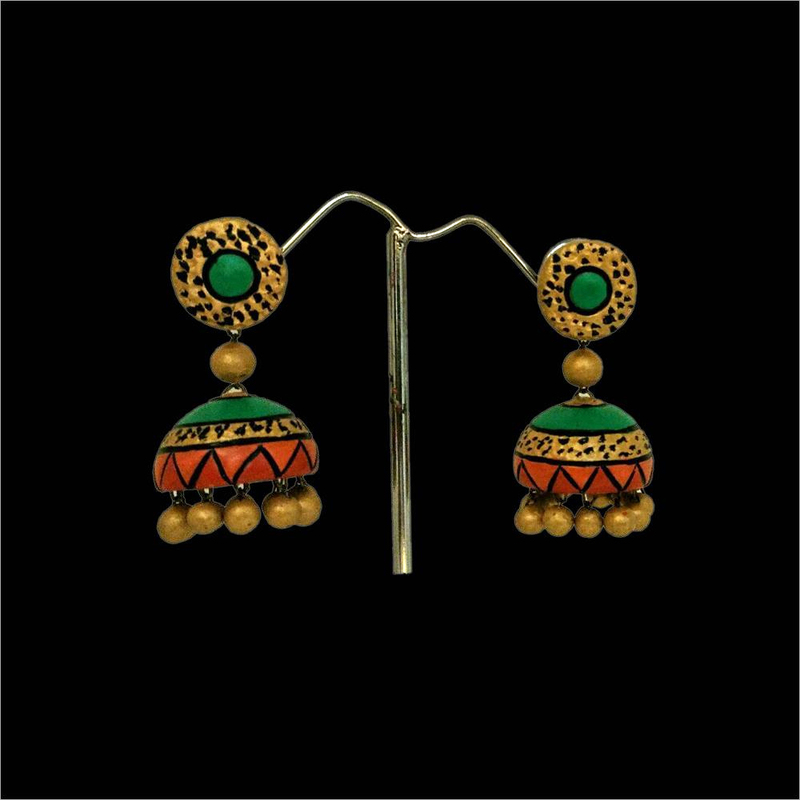 Available in attractive colors, our exclusive collection of Terracotta Double ring Jhumka goes along with your party, ethnic as well as ethnic look. 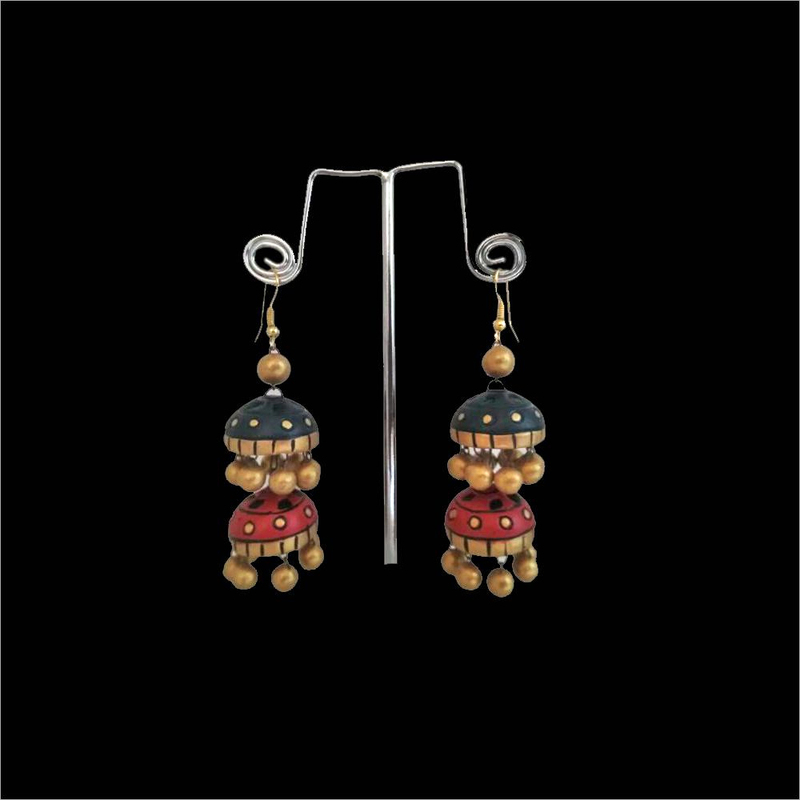 Skin friendly in design, it retains its shine for long time. 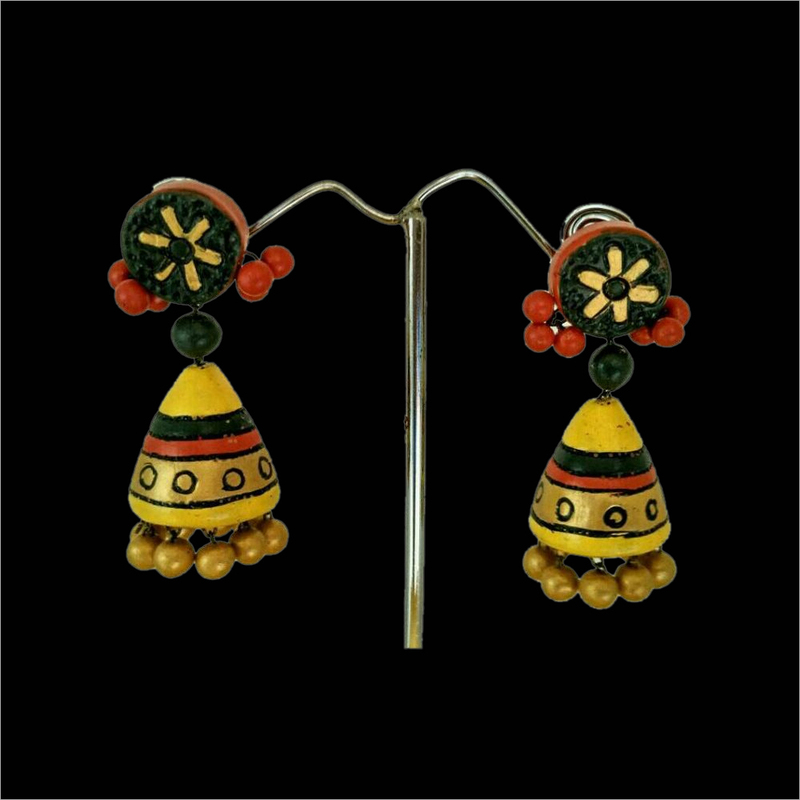 Wear this jhumka and adorn your makeup elegantly. 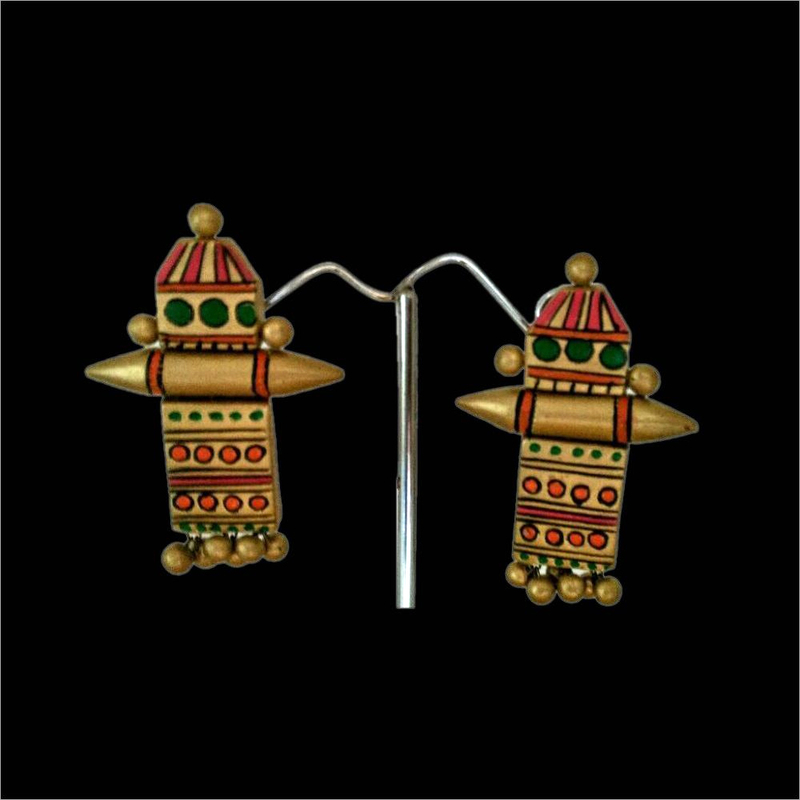 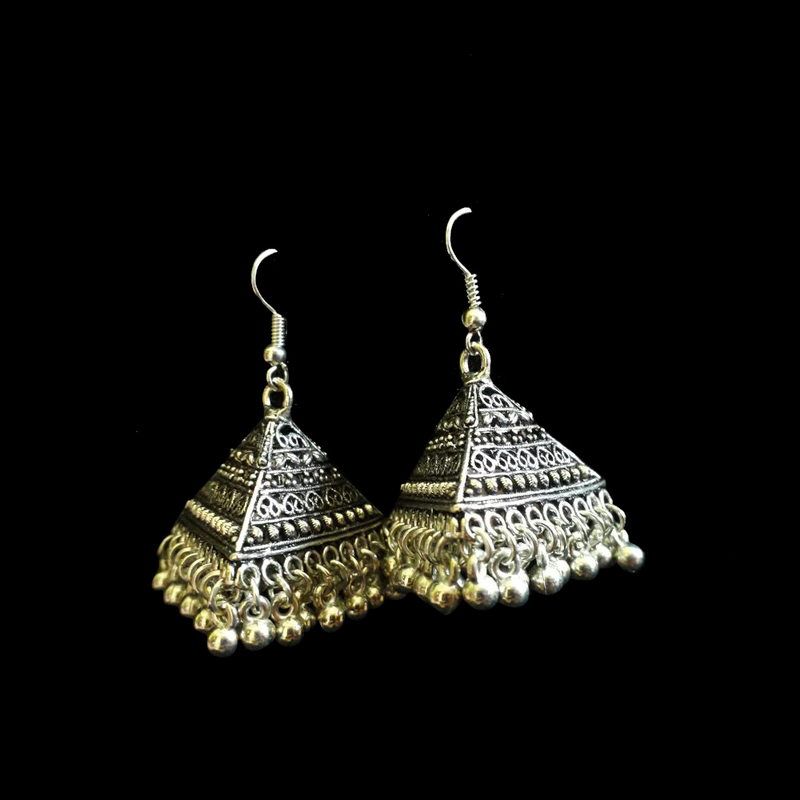 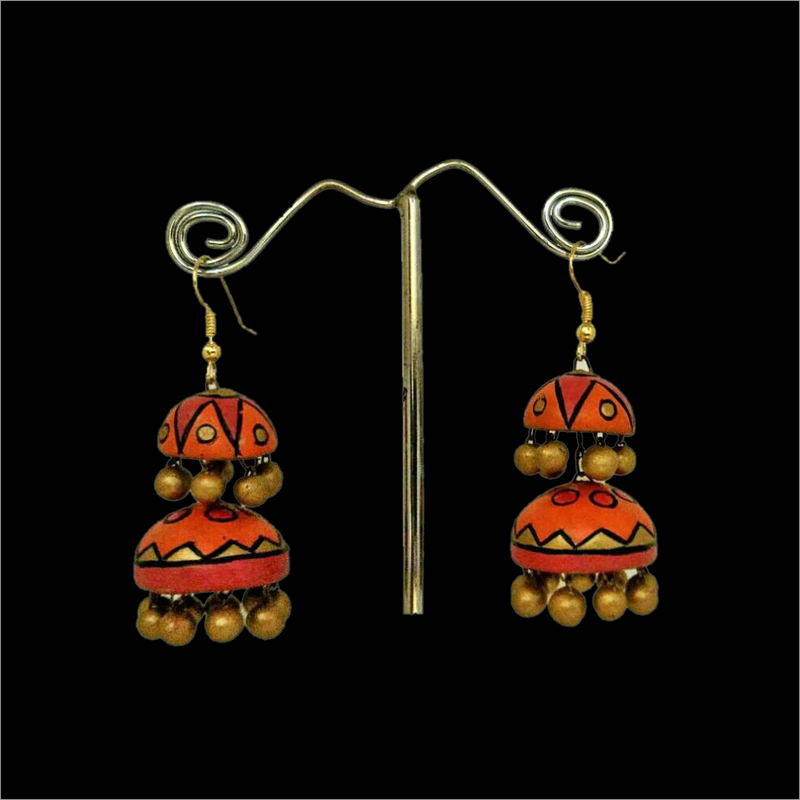 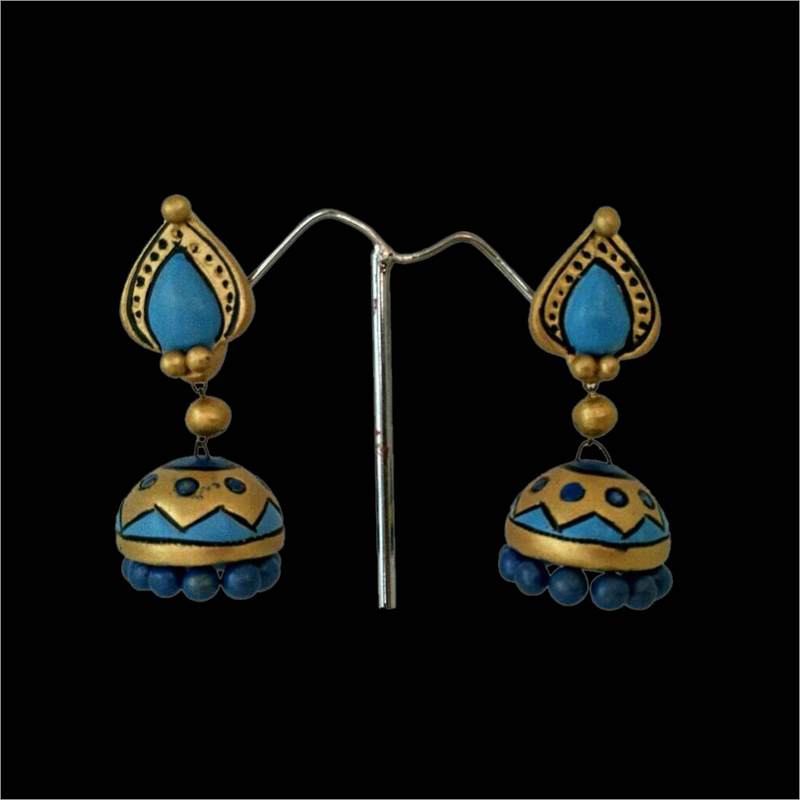 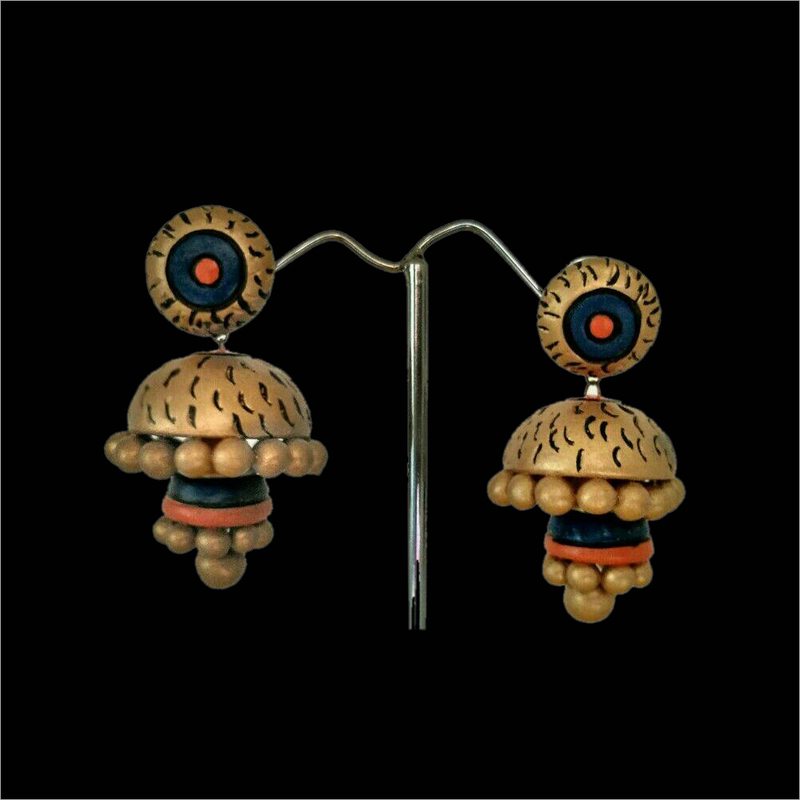 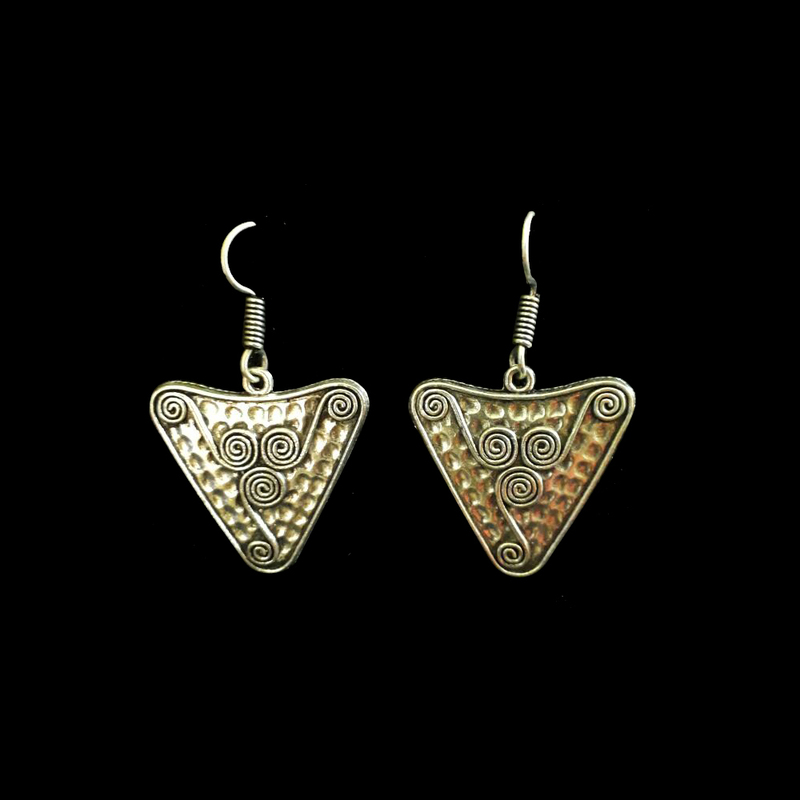 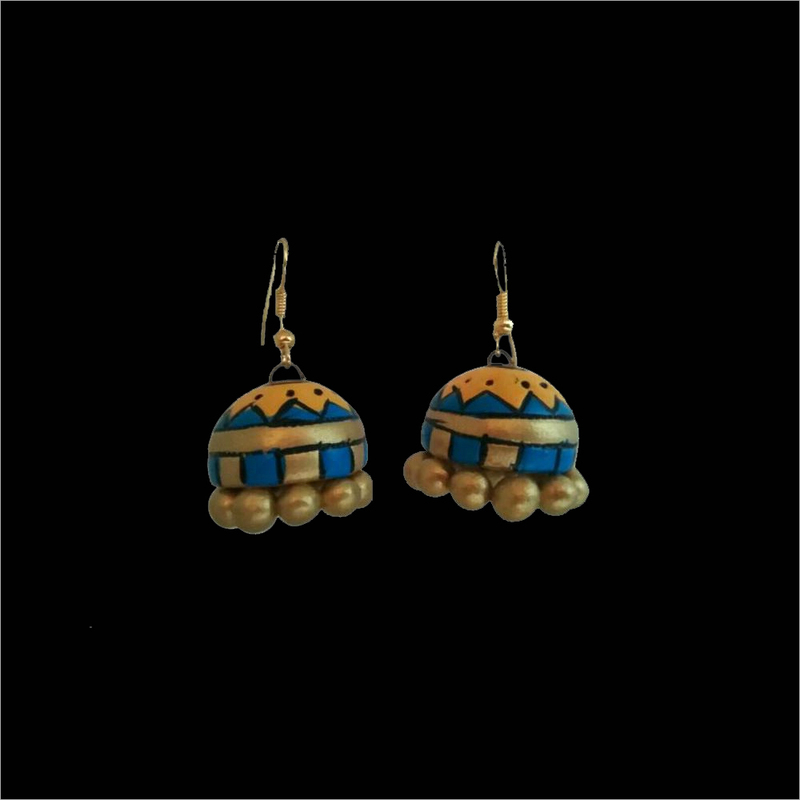 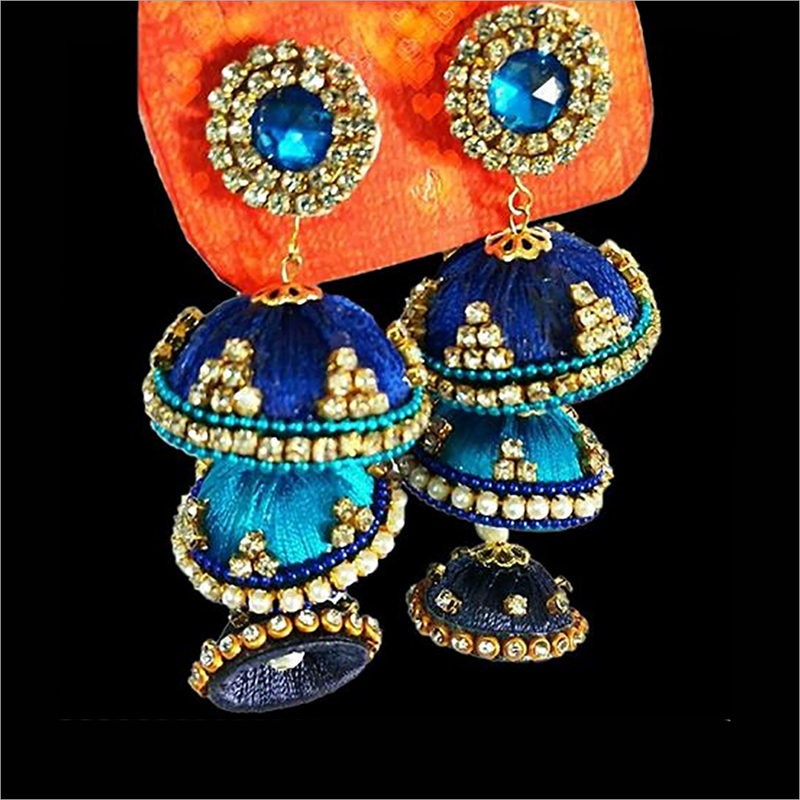 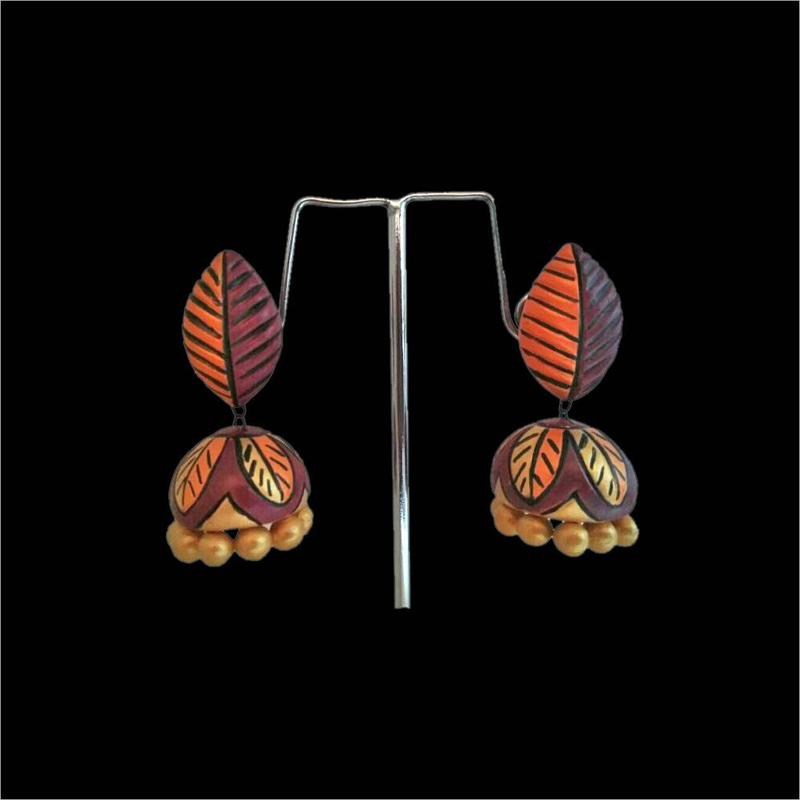 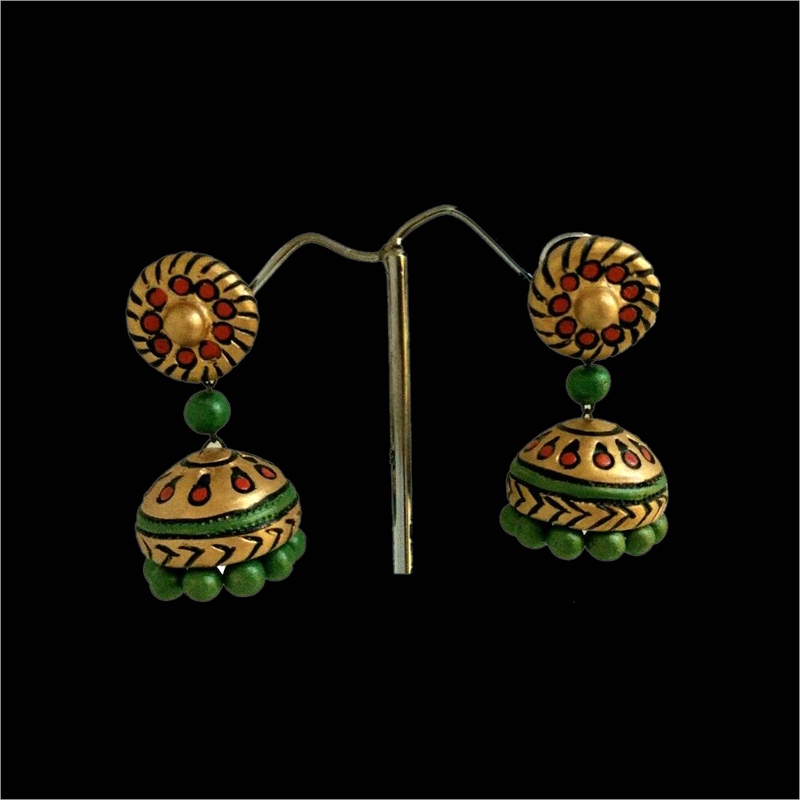 This jhumka is provided with two dome shaped jhumka under the direction of skilled artisans. 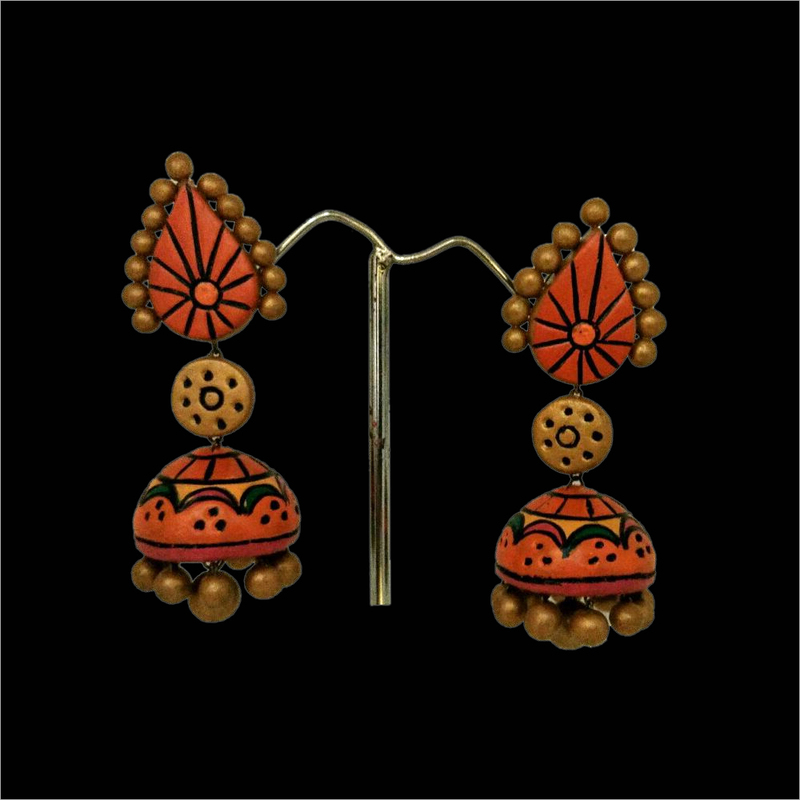 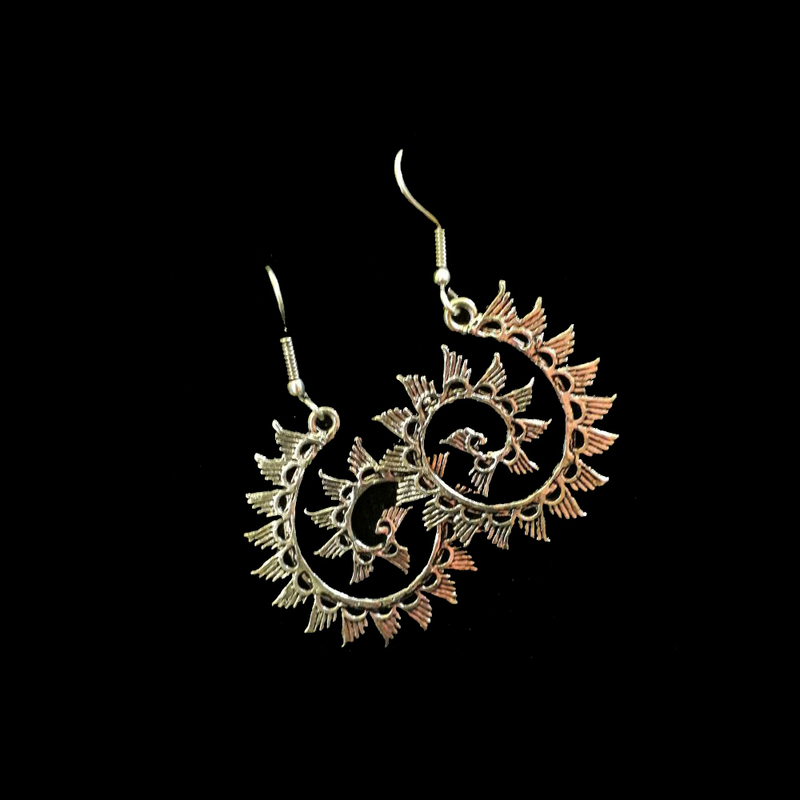 Available in different shapes, colors and designs, the Terracotta Double ring Jhumka has light weight that makes the wearer feel comfortable to wear for long hours.